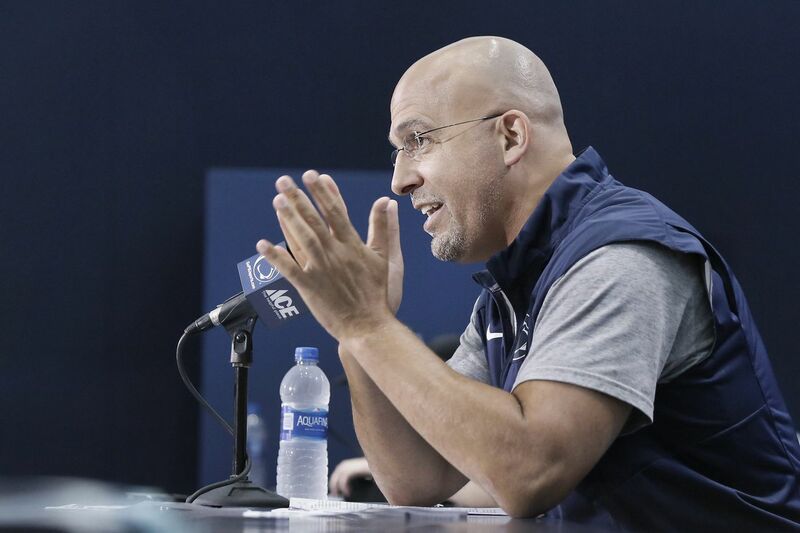 James Franklin has 16 commits for the 2019 class. Penn State redshirt sophomore quarterback Jake Zembiec, who never took a snap last year in his only season of eligibility, announced Tuesday on Twitter he will no longer play football because of an "ongoing injury." The 6-foot-3, 214-pound Zembiec, of Rochester, N.Y., did not disclose the nature of the injury. He said he will now be on a medical scholarship. "I look forward to having a new role and perspective with the team, offering my knowledge of our offense and leadership as a third-year student athlete," he said in his Twitter statement. Zembiec's withdrawal from playing means the Nittany Lions now have four scholarship quarterbacks – fifth-year senior Trace McSorley, fourth-year junior Tommy Stevens, redshirt freshman Sean Clifford and true freshman Will Levis. In other Penn State news, Anthony Whigan, ranked the No. 1 junior college offensive tackle prospect by 247Sports, announced Tuesday he has made an oral commitment to the football program. The 6-foot-5, 295-pound Whigan, who is rated four stars by 247Sports and three stars by Rivals, chose the Nittany Lions over Maryland, Louisville, South Carolina, Nebraska, Oklahoma, Pittsburgh and West Virginia, among other schools. Whigan, of Great Mills, Md., is the the fourth offensive lineman to join the Class of 2019, and the second tackle to pledge in the last six days, joining Zachary Franks of Baltimore. Penn State now has 16 players committed to next year's class.